Von den Stricken meiner Sünden was composed by Johann Sebastian Bach in 1724 (D minor). This aria is the eleventh number of the first part of the St John Passion. In 1724, when J.S. Bach was appointed to Saint Thomas Church in Leipzig, he was told by the city council of the time, he would not be permitted to compose any theatrical music. 10 months after his appointment as cantor, St. John Passion was performed for the first time at the St Nicolas Church of Leipzig. He respected the demands of the city council and no staging was created; however, Bach still wrote an immensely theatrical and dramatic Passion where drama and music are closely intertwined. The texts of the recitatives are from the Gospel of John (except for two small passages from St Matthew) and the text of the arias are by Heinrich Brockes Barthold, Christian Heinrich Postel and Bach himself. In Saint John Passion, the focus of the drama is set on the brutality of the crucifixion of Jesus, from his arrest, to his trial and crucifixion. Recitatives setting the words of Christ, Pilate, Peter and John, are followed by arias, moments of suspension where room is made for profound reflection. The chorus portrays the crowd. This Passion was intended for four soloists, a chorus and a large orchestra including original instruments such as oboes d’amore, oboes da caccia, violas d’amore, an even a lutenist. Von den Stricken meiner Sünden (N.11), an aria sung by the alto, appears in the first section of the oratorio. Jesus, betrayed by Judas, has just been arrested in the gardens of Gethsemane. He is brought, first, to the house of Anna, father-in-law of Caiphas, chief priest of Jerusalem. The aria is in resonance with the sacrifice of Christ, that will, eventually liberate all men from their sins. The aria is orchestrated for two oboes, bassoon and basso continuo that seems to repeat the motif on and on. The vocal line is specifically related to the text. Bach chooses to set, for example, a descending motif on the word Sünden (sins) and an ascending, luminous one on the word entbinden (liberate). 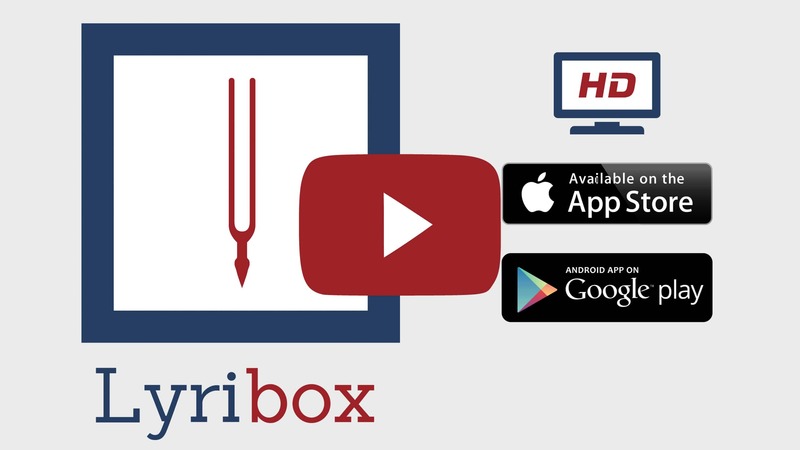 Lyribox, the popular online platform for classical sheet music, accompaniment and ipa translations brings the best by J. S. Bach by offering the sheet music, accompaniments and translations to the fans gathered around the site, for the best price that could be found online. The sheet music, accompaniments and translations provided by Lyribox for are of highest quality and accuracy. Von den Stricken meiner Sünden originated was composed by Johann Sebastian Bach . The original lyrics are in German. The melodious note arrangement of Von den Stricken meiner Sünden ranges from pianissimo (very soft) mellow notes to forte (loud) notes carrying the player and the audience through an array of vivid emotions. The sweet soft beginning of the music piece gradually increases and decreases the loudness in smooth transitions. This music piece is decorated with phrases, slurs and an arpeggio. A perfect composition for piano players to try with an intermediate knowledge in music. Students can make use of this sweet music piece to improve their knowledge in music expressions, ornaments and sight-reading, while all music lovers could enjoy this brilliant extract whole-heartedly. Von den Stricken meiner Sünden sheet music produced by Lyribox is clear, precise and is transcribed in English by Lyribox. By purchasing Von den Stricken meiner Sünden sheet music from us, you can simply sing along as you play this masterpiece on your piano. Unlike many sheet music sold online with all black notations, sheet music we offer you is marked using three distinct colors. While piano notation is illustrated in black, the music expressions and the lyrics are given in red and blue respectively. Get Von den Stricken meiner Sünden by J. S. Bach sheet music from Lyribox today to enjoy and share this wonderful music composition with your friends and family. Von den Stricken meiner Sünden piano accompaniment is offered by Lyribox is mellow and smooth. It feeds the poem an underlying pulse, adding a sense of propulsion to it. Meanwhile the vocal line flows in a dreamy leisure manner forcing the audience into a calming and languid mood. The vocal line of Von den Stricken meiner Sünden by Lyribox has the potential to provide slight pitch support for the voice’s sometimes unusual intervals, enhancing the fullness of it. This accompaniment is not at all demanding. Using these rich Von den Stricken meiner Sünden accompaniments you could create one of the most brilliant performances that is pregnant with layers and layers of expressions. Purchase the Von den Stricken meiner Sünden piano accompaniment together with the vocal line accompaniment from Lyribox today!